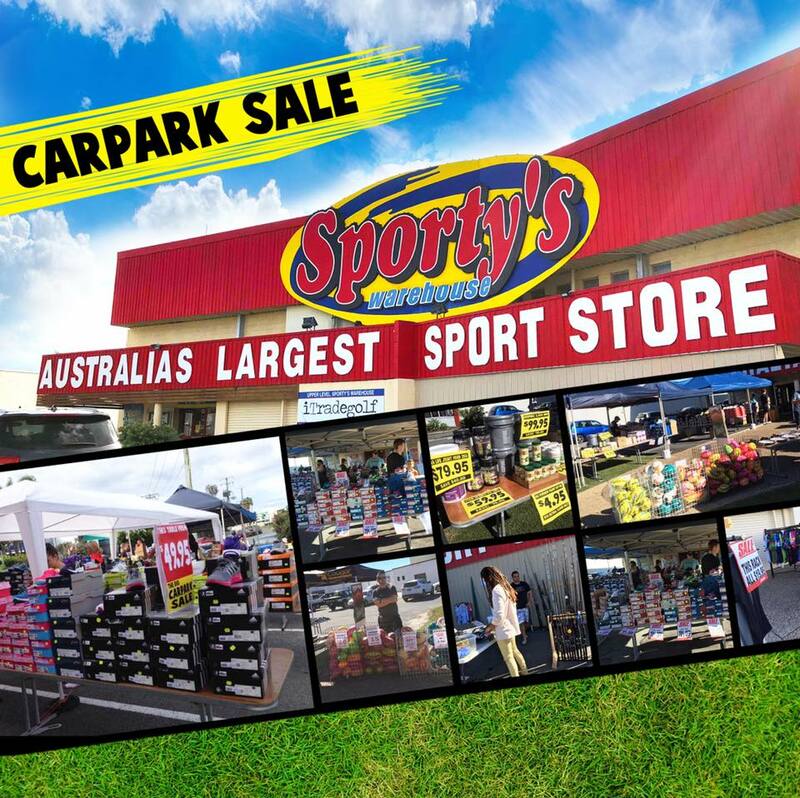 The big Sporty’s Warehouse car park sale takes place this long weekend, Saturday May 5th until Monday 7th May. Up to 70% off on goods from all departments – Shoes, Clothing, Fitness, Ballsports, Supplements, Fishing, Watersports, Golf, Hunting etc. Sporty’s Warehouse is Australia’s largest sport store, end of Strathaird Rd, Bundall.